Our Geovis’15 workshop in France was a success! 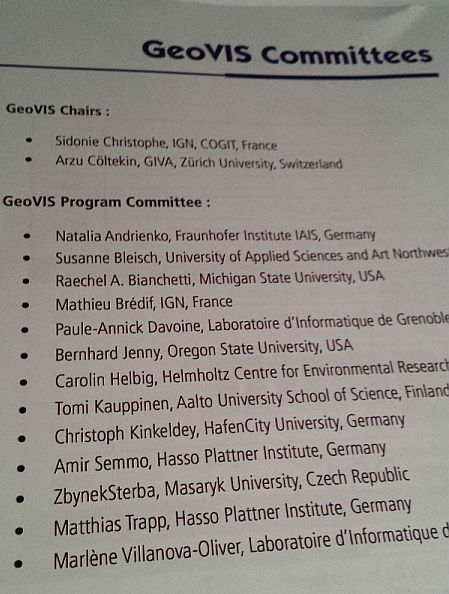 Our workshop in France held during the Geospatial week, titled Geovis’15 was very well received! The workshop was organized Sidonie Christophe (co-chair of the ICA Cognitive Visualization Commission) and myself (Arzu Coltekin, co-chair of this ISPRS WG II/6 Geovisualization and Virtual Reality). Furthermore, it was also supported by the ICA’s Commission on Geovisualization. 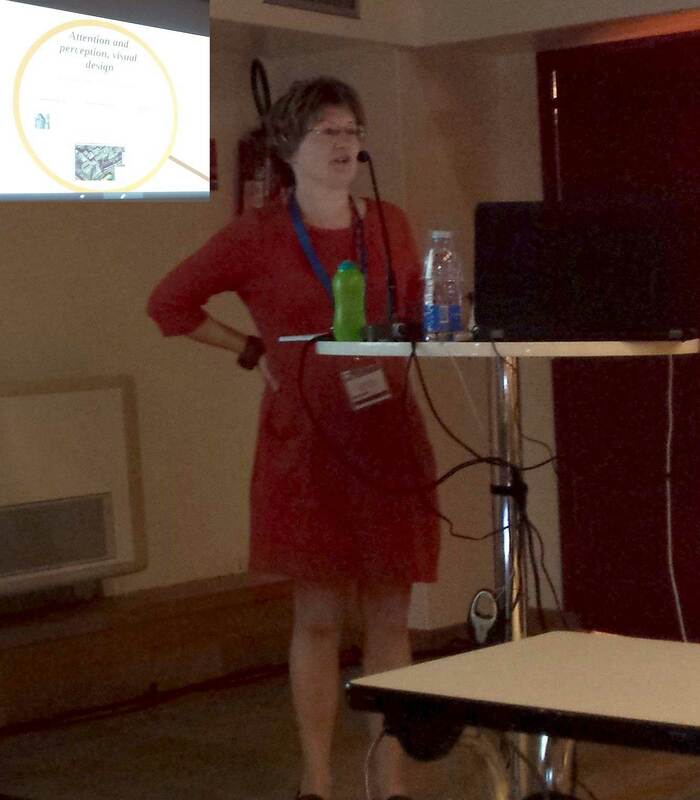 Our Geovis’15 keynote speaker was Dr. Clare Davies from the UK. She is a psychologist with a strong background working with Geo-professionals. The two chairs of the event were Sidonie Christophe and Arzu Coltekin. Scientific Committee members from all over the world made this event a high quality gathering.